Justice Mohammed Liman of a Federal High Court in Port Harcourt yesterday upheld the dissolution of Senator Ali Modu Sherif led executive of Peoples Democratic Party, PDP. While chairman of the caretaker committee of the party, Senator Ahmed Makarfi, hailed the judgement of the court, factional chairman of the party, Ali Modu Sheriff insisted he remained the national chairman of PDP. The Judge in his ruling which lasted about one hour, said the party did not also violate any court order in constituting a National Caretaker committee to steer it’s ship for a period of time, thus granting recognition to the Senator Ahmed Markafi-led national executive of the party. Justice Liman noted in his ruling that Sheriff (the first defendant), in line with the party’s constitution, convened the Port Harcourt national convention with other national officers of the party, appointed a national convention organising conmittee and subsequently submitted himself for screening to re-contest his position at the convention. The court noted that he later turned round to single-handedly postpone the convention after he had been disqualified from contesting for the national chairmanship seat of the party. Justice Liman said the chairman of the party didn’t have powers to unilaterally postpone the convention, since there was a caveat in the party’s constitution that he was to preside over the national convention with other national officers of the party. “The first defendant from undisputable evidence participated from the very initial stage of summoning the convention from the level of national executive council, appointed a national convention organising committee, he filed to contest , was screened but disqualified. "So from this scenerio, it is logical to assume that he was not prevented from participating in the convention. It will also not come from him that the convention was not properly convened. “The first defendant submitted himself for screening, purchased the form for the screening. The screening was widely reported in the media,” he said. Continuing, Justice Liman said Sheriff who was national chairman at the time of the convention, did not attend the event but went ahead to postpone the exercise when delegates from all parts of the country were already at the venue. He said the unilateral act of Sheriff violated the constitution of the party, adding that if he had attended the convention and proposed postponement of the exercise was rejected, he would have been vindicated. "The national chairman should have attended the convention and propose postponement. He would have been vindicated even if they rejected it.”, he said. Justice Liman said the Deputy National Chairman of the party was in order to have presided over the convention in the absence of the national chairman because conditions under which he could assume such powers were clearly spelt out in the constitution of the party. He further said that the convention acted right in the dissolution of the Sherif led executive and constitution of a Caretaker since it is the controlling authority of the party. “The national convention is the controlling authority of the party, it shall exercise authority to elect and remove the national officers of the party and to appoint such committees it deemed necessary and assign to them such powers it may deem fit. "It is obvious that the dissolution of the national executive committee and the working committee was within the ambits of the article of the party.” , he said. Justice Liman also said it was clear that it was the PDP that filed the suit as opposed to arguments that it was filed by Senator Ben Obi and others in their personal capacity. “In the light of the above, I shall conclude that I grant all the reliefs sought and I so grant.”, he ended his ruling. “This is a judgement opposed to any interim or interlocutory order. There is now certainty and clarity over who is chairman of the party. The court noted that there was no court order stopping the convention from holding. "This judgement overtakes any order from any court, particularly any interlocutory injunction,” he said. Meanwhile, chairman of the caretaker committee of the Peoples Democratic Party, Senator Ahmed Makarfi has hailed the judgement of the court but expressed sadness that “it had to come to this”. He called on Sheriff and his followers to join hands with him to rebuild the party, stressing there should be no winner or loser on the matter. 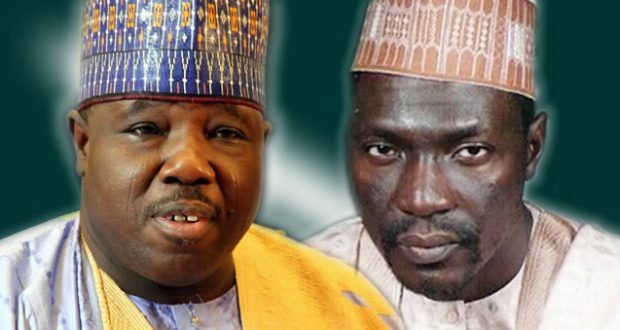 But senator Ali Modu Sheriff, who is at the centre of the contestation, insisted that he remained chairman of the party until an Appeal Court ruled otherwise. In his own reaction, Senator Sheriff said: “The courts that gave judgements in Abuja, Lagos and Portharcourt are courts of equal jurisdiction, so the order we had in Abuja still subsists.